I am in Uganda, East Africa and I need a network password for my phone which I don't know. what can I do? null, 03 Mar 2016are u sure that..many thing cannot be remove to sd card?did u bring it to nearest mobileshop?you can install link2sd, that solve the problem of small internal storage. AnonD-527423, 17 Apr 2016It has been 4 years since I bought this phone and still using it. Not a single repair has occu... moreit is indeed good phone, although the specs compare for now high ended phone its very low. but i've been using it and no major problem neither. 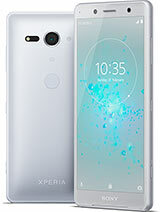 Please help me I have a sony Ericsson xperia,but it luck with password and I have forgotten the password. JAISAL KM, 29 Jun 2015PLEASE.... PLEASE...DONT BUY THIS PHONE Draw back: 1. very low internal memory, many apps can... moreare u sure that..many thing cannot be remove to sd card?did u bring it to nearest mobileshop? my sony ericsson xperia neo android is 4.0.4 ICS. but camera is not responding how can i come over it.??? 'Xperia Overlay'rom 4.4.4 is the fastest rom. On antutu more than 9400 points. Anonymous, 01 Nov 2015my xperia does not show the key board any more. please help me on how to bring it backWhich rom are you using? With Super Jelly Bean 8.0, the phone runs very good. I use 1700mah patona battery. 2 - 3 days is enough. And 16gb microsd samsung pro class10. Most apps moving to sdcard. No problem with this phone. Total of 3025 user reviews and opinions for Sony Ericsson Xperia Neo.